When it comes to the mobile development in BlackBerry then there is tremendous scope to offer a better technological platform. The task of application development can be accomplished easily with the help of the technologies that are BlackBerry supportive. Ardent is having a strong expertise over the technologies dealing with BlackBerry development and experience of controlling a large number of projects in the past. While offering the services, our priority always remains to cover all those areas in which limited or none of the services are available. We also believe in competing in those systems where though services are accessible but people are still trying to find the best at the affordable prices. Research In Motion has maintained a good performance record right from the introduction of BlackBerry devices in the market by it. Every year millions of mobility products are sold by the company in the market. Foreffective development of the mobility devices, we stress upon the dynamic research and always make certain that our clients always remain ahead of all the other people availing BlackBerry devices from the market. 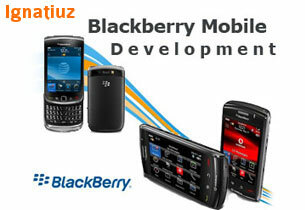 So let our popular Blackberry development solutions help out your needs in a far better way. All your anticipations will be fully met with top notch development services at the most affordable prices existing in the market.